Preorder FOR WRECK AND REMNANT! Hope you're all having a lovely time ringing in 2015, everyone. 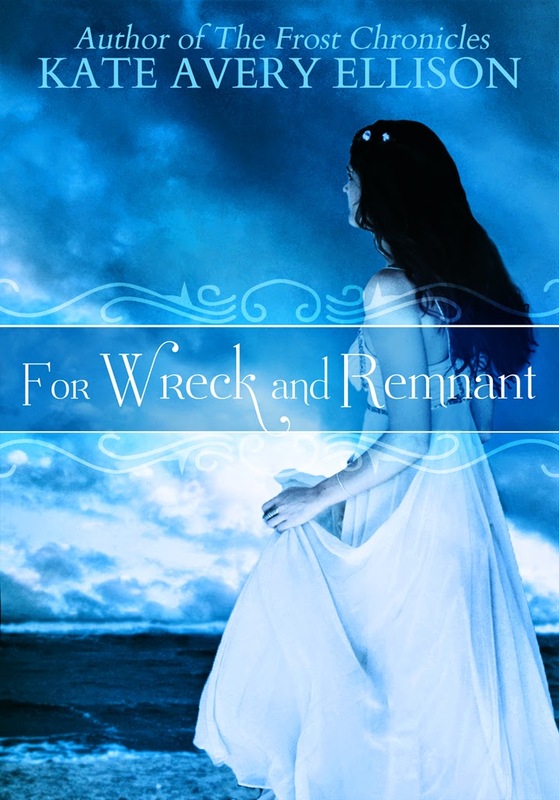 My husband and I spent a lovely evening with friends, and before we left the house for the party, I hit the "submit" button on For Wreck and Remnant's preorder status, so you can click here and get it from Amazon! The book will release in just a few weeks. I hope you all enjoy it. Got some new and cool stuff coming down the pipe for 2015 that I'm really excited about. Stay tuned for more news about a sequel to A Gift of Poison, as well as a new book coming in February. FOR WRECK AND REMNANT Cover! I hope you've had a great holiday season so far. I spent a lot of mine (happily) working on books that will be coming out in the next few months. For Wreck and Remnant (Secrets of Itlantis #4) should release mid-Jan, and I'm hoping it will be up for pre-order in the next couple of days, as I want to try that option out. In the meantime, here's the cover, and a little teaser from the book! The door split with a hiss, and a figure stepped inside, boots clicking against the metal floor. I lifted my head, peering through my dripping hair at the intruder. He stepped inside and crossed his arms. I noticed the way his muscles stretched his shirt. He was taller now, stronger, and harder. His hair was shorter, and his eyes burned with determination. The door shut behind him, and he stood looking at me. His expression was unreadable, but I hoped mine wasn’t. Seeing him was desire wrapped in pain and threaded with fury. The rage was strongest, and it threatened to choke me unless I spit it out, but I bit down on the words and stayed silent. Better to let him talk first and see what he wanted. Nol studied me. A muscle in his jaw flexed, and I could tell he was trying to decide what to say. So much for letting him talk first. Hi guys! 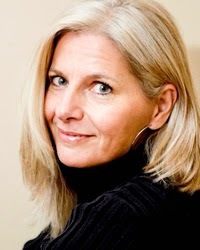 I wanted to tell you a bit about a new series by my author-friend Lee Strauss. FRINGE meets CASTLE in this New Adult Sci-fi Mystery Suspense. She’s next on the list. It’s worse than they both think. 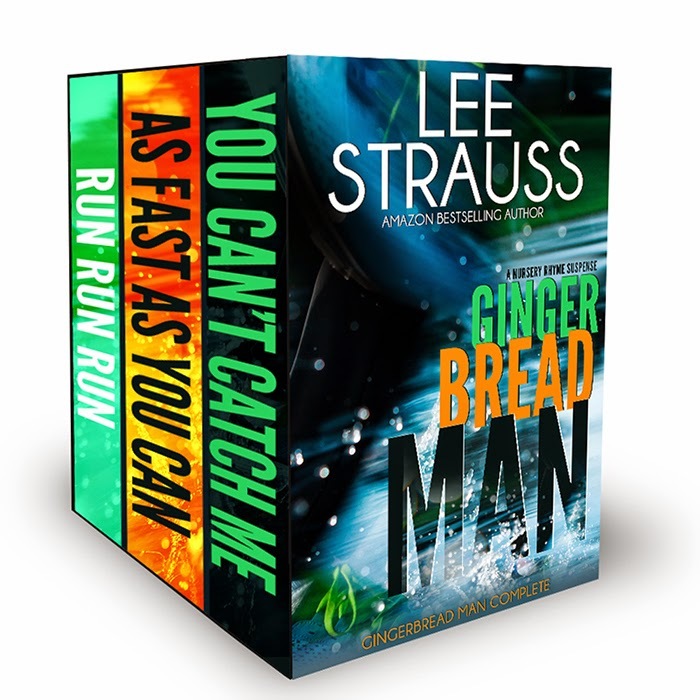 RUN RUN RUN is the first part of a three part episode – Gingerbread Man – in the romantic suspense series, A Nursery Rhyme Suspense by Amazon best-selling author Lee Strauss. I write mixed genre Romance, most recently The Minstrel Series. I also write fun, lower YA fiction (time-travel and fantasy) as ELLE Strauss. I divide my time between BC, Canada and Dresden, Germany and enjoy drinking coffee and eating chocolate in both places. 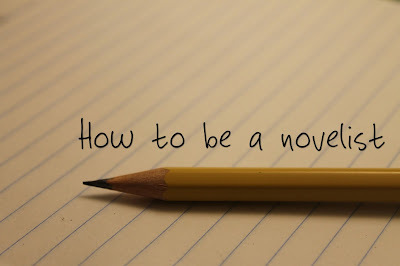 So I get a fair number of questions from people, both friends/family as well as readers, about how to "be a writer." I try to answer these questions as best I can, and I don't mind them at all, but it's hard to sum that up in a paragraph or off-hand conversation while still giving a helpful response. So, I thought I'd write a series of blog posts about what I did* to develop my craft, learn the ropes of writing, and go on to have a career in writing. This will mainly focus on CRAFT, not business. The business aspect is super important, and there is absolutely a place to talk about that, but I think the foundation should be skills related to the creation of content. *Bear in mind this is what I did in my journey. Mileage may vary! So let's pretend you, the reader, are asking me to help you become a novelist with the intention to be published (independent, trad, hybrid, doesn't matter). 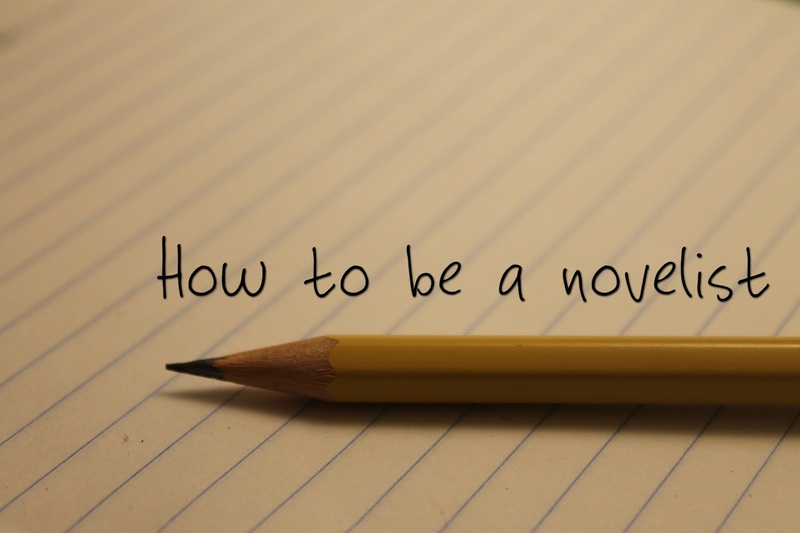 You don't just want to write one novel, you want to make a career out of it. You want to tell stories and sell them and make a living from it. I think emphasizing the career part is important, because a lot of my advice is going to hinge on the idea that you need to be developing skills that will allow you to stick with what is a difficult and intense process at times. If you want to write that one book and that's it, great! You will probably not make a lot of money from it**, so don't expect that, but that's perfectly fine if that isn't your plan. However, if you want a career, you will need more than one idea and infinite time to spin it into a story. You're going to need a whole arsenal of skills. **People are funny with their assumptions about authors and their finances. I remember a couple of years ago when I was starting out and had 1-2 novels out, and people made all kinds of strange small talk with me about it. They'd say things like "are you a millionaire yet?" I just laughed awkwardly. Or, "you just need to get a movie deal and you're set for life, right?" Um, no. Other people say things like "you must be really rich" after you've published 1 book. No no no. Anyway, this advice is specifically for people who want to be authors and who want a career doing that. People who are in it for the long haul. First, pretend apprentice, I would advise you to work on developing or strengthening some skills, both general and writing-specific. The good news is that you can do all of these things at the same time, a little each day. Yay for multitasking! Writing is hard. It's emotionally taxing, creatively draining, and it requires a lot of work that nobody is making you do (unless you have deadlines and an editor harassing you about them, I suppose). Generally, you're going to sit down and write that novel IF you make yourself do it, so possessing the ability to make yourself work hard and stick to a schedule is pretty important. 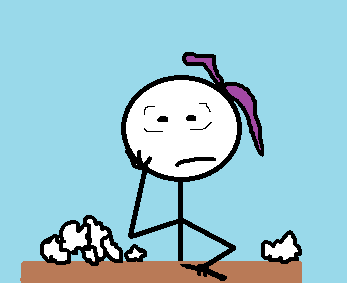 Soooooo many people say "one of these days I am gonna write that novel." Well... maybe? Novels don't just happen. They take a lot of intentionality. But remember, we're looking at developing a career here, not just writing that one book. So discipline is going to be even more important. Honestly, I think one of the biggest hurdles to becoming an author is simply finding the discipline and fortitude to 1) learn to write well and then 2) actually do the writing. It's not so much the learning, it's the ability to keep trying and working over a long period of time. I learned a lot of my self-discipline when I finished my degree long-distance due to health problems that caused me to drop out of school. So many people said to me, "I could never do that. I could never do my homework and write my papers if I didn't have the structure of class." But you CAN. It's a skill I learned--I wasn't born with baskets of willpower and discipline--and it came in handy again and again after I started seriously working on writing novels. Well, how do you develop things like discipline? I found these books really, really helpful. They are not about writing in particular, but they aided me as I worked to become a more productive individual. 2. Develop a thick skin and the ability to hear constructive criticism. A lot of writing is just re-writing and revising. You get the words down on paper and then you have beta readers and editors give you feedback, or you read books that guide you through the process of editing. You have to look at what you've produced and say, what needs to be fixed? How can I make this better? 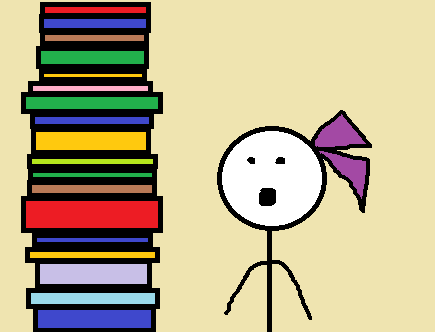 If you can't hear anything bad about your book baby, that is going to hold you back from growing as a writer. A lot of writers seem to be sensitive creatures--I certainly am--but I strongly advise cultivating the ability to hear hard things, because this will grow you as a writer. Also, you're going to get lots of criticism, not all of it constructive, once you are published. You are going to want to start now when it comes to learning to deal with that in a healthy manner. Seriously, read. Read all the time, especially in whatever genre you wish to write in. This is the fastest and best way for you to develop a feel and a taste for the genre. If you want to write YA, you need to be reading YA. Lots and lots of it. I cannot understand it when people say they want to write YA and they haven't read anything in that category except maybe The Hunger Games or something really well-known. That is THE starting point for you. Familiarize yourself in what you plan to write. Bathe in it. Soak in the styles, the conventions, the character types. Learn what you like and what you don't. The good news is that this is the fun kind of work, because (hopefully!) if you want to write, then you like to read. 2. Pay attention to all kinds of storytelling. I, for instance, pay a lot of attention to my favorite TV shows. What do I like, what do I dislike, why did the writers make the choices they did, how could they have chosen differently? Analyze movies for structure, character arc, dialogue. Find a friend or two who enjoys discussing this kind of thing. Immerse yourself in the business of taking stories apart to find their nuts and bolts. This is part of learning how to put them together. This is another easy kind of work, one you can train yourself to do effortlessly. 3. Read books on writing. 4. Write all the time. It's as simple as that. You need to be writing. Not necessarily every day, but... a lot. Maybe every day. Make it a priority. Practice. Learn. Let yourself be terrible at it, and then learn why you were terrible, and fix it. Making mistakes is a huge part of learning. Don't be afraid to put down imperfect words, because that's what revision is for. Learn to uncork the flow of words in a consistent way. If you put off writing until you can compose it perfectly, you aren't going to learn. You're going to be afraid of failure and you're going to stall and stagnate. Don't do that. Seriously, don't fall into the trap of waiting for a moment when you feel inspired and seized with the magic of the muse. In fact, that's a terrible idea, because most of the time you won't feel very inspired. Learn to use discipline (from general skills) and consistency to get the work done. As you become more familiar with your own process and as you grow your skills, you will develop confidence, and I think a lot of "writer's block" and other kinds of problems come from a lack of confidence in yourself as a writer and your own process, so you will see improvements there. Movies always seem to depict writers as moodily wandering around, moaning about writer's block and doing romantic things like drinking a lot, smoking while wearing sunglasses, and staring through windows of coffee shops waiting for that perfect idea. NO. Writers plant their butts in chairs and write. They don't always leave the house or take a lot of showers if deadlines are tight. You're probably not going to be that guy from Castle. It is mostly unglamorous work. And when you've got a book or two out, it's not all about sitting around gazing at your name on the cover. Especially not as your write more and more. You'll probably say "cool," smile at it like a proud parent, and get back to work on the next one. 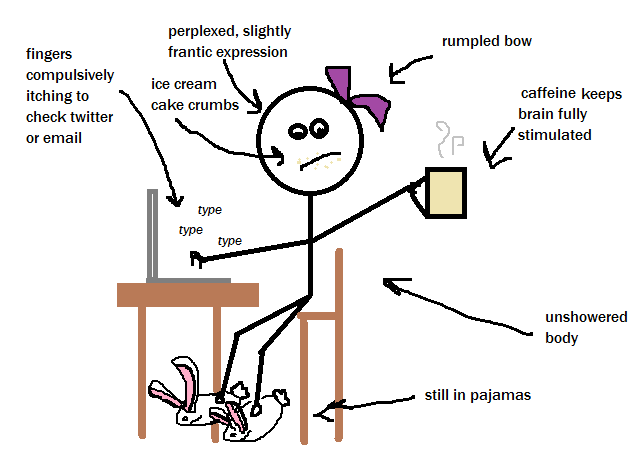 Don't be in love with this image of "being a writer." Love the craft. Love the process and the journey and the sharing of stories. It's what is going to sustain you through the crappy hard work. Now, having said all that, I looooooooove being a writer. It. Is. My. Dream. Job. It's a lot of work, and it takes intentionality, cultivation of skills, and effort. But it's WORTH IT. And you can do it! You really, really can, if you set your mind to it and don't give up. In part 2, I'll talk more in depth about my suggestions for developing your writing skills, specifically in regard to novels. I just sent For Wreck and Remnant, the 4th installment in the Secrets of Itlantis series, to the editor today! Maybe I can post a few hints and teasers for you guys in the coming weeks. I am hoping the book will be available for preorder before the end of December (and releasing in January). Meanwhile, the 3rd book is available now. Can you believe it's December already?